Direct mail in Syracuse, NY is still one of the best ways to get your business or organization’s name and vision in front of current or potential clients. Handling sizeable mailings in-house can be a costly, time-consuming task. That’s where Seaboard Graphics comes in. We’ve been in the business of making you look your best for years. 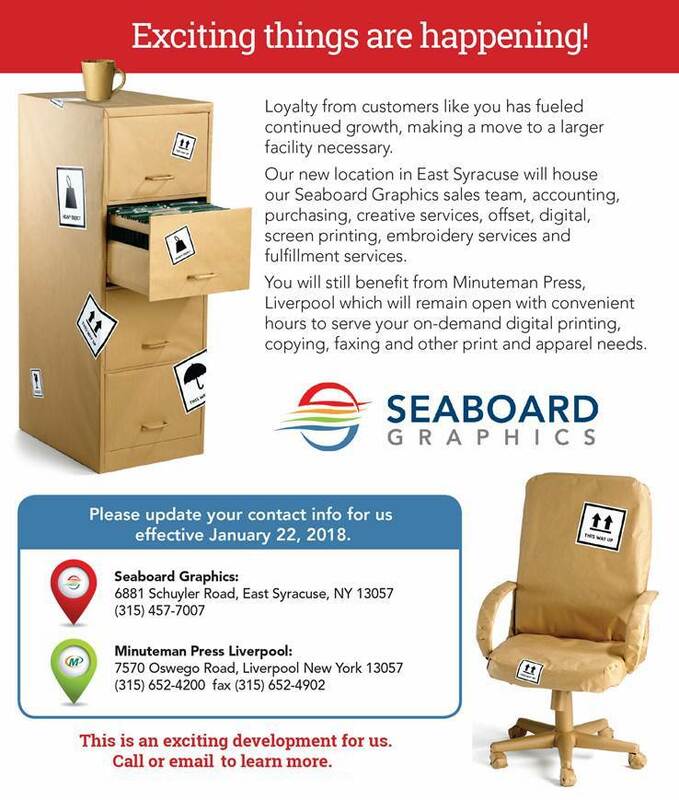 Seaboard Graphics offers full-service direct mailing in Syracuse, NY and surrounding areas as just one more way to help you touch base with your past, current and future customers. When you need stress-free direct mail marketing in Syracuse, NY, put your trust in Seaboard Graphics. Call us at 800.721.1663 or contact us online, and we’ll get your message out to your customers fast and efficiently with a professional look of the utmost quality.